Passionate about being tobacco-free, City Vapor only sells all-natural vegetable glycerin oils and are dedicated to providing their clientele with high quality products that empower them to live a smoke-free life. 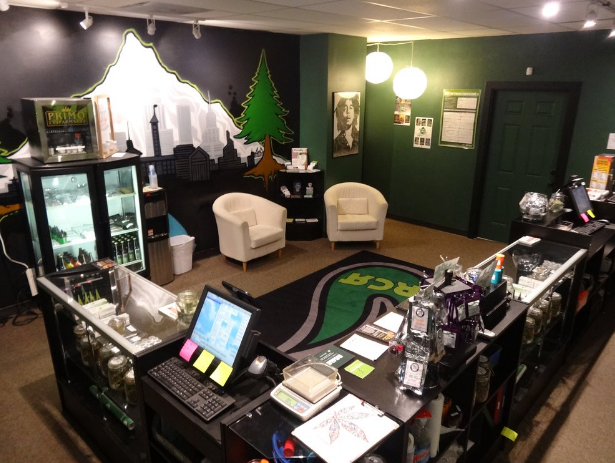 With competitive prices and knowledgeable staff, it is no wonder that City Vapor is the local’s vape store of choice! Prior to opening City Vapor, the 3 owners were laid off from their jobs. They came to a crossroads in their life and made a decision to follow their passion for vaping. This was how City Vapor was born. Because of their calculated decisions, they’ve successfully opened two stores and have continued to grow. One of these decisions was choosing a Vape Point of Sale System. At first glance, POS systems aren’t something you would consider “exciting”. Therefore it can be all too easy to fall into the trap of a poor purchase. Usually poor POS purchases are because the buyer either doesn’t understand the uses for a POS system or they don’t do sufficient research for what best meets their needs. 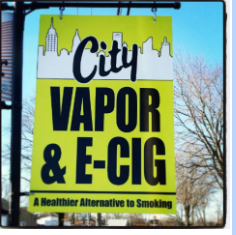 This is why City Vapor enlisted the help of their merchant processing company to help them find a solution that would work for them. This was because merchant processing companies are familiar with the industry and can provide helpful recommendations and advice. Their merchant processor connected with various POS companies before finding Cafe Cartel Systems. CCS works with many processors in order to provide their mutual customers the best service possible. City Vapor’s merchant company recommended CCS because of the software features that were designed specifically around vape regulations. With their sales and inventory modules, CCS elevates Vape Point of Sale systems to a new level beyond the standard Retail Point of Sale. The following video provides demonstration of this. With CCS, City Vapor can manage their different combinations of inventory, including kits and their components. They also gained access to features such as age verification, employee time clock, vendor re-order lists, reconciling and reporting. Choosing a POS company that worked with their merchant company provided them quality service and support. In no time they were up and running smoothly and even decided to use CCS software at their second location. To see how CCS can help your Vape shop, call 866-973-8099 to speak with a consultant or request a quote today! Located in the Comfort Inn & Suites Amarillo, is Drinks Ultra Lounge; a relaxed bar for travelers to stop and enjoy a good drink. Known as the “city of yellow roses” Amarillo attracts people coming to visit their botanical gardens, country club, civic center and Palo Duro Canyon. Drinks Ultra Lounge is a magnet for those travelers to come unwind from the day's explorations. Before their opening, Drinks Ultra Lounge began researching a Point of Sale system for bars and lounges. Many POS systems are simply electronic cash registers which wouldn’t do for their business model. They required features applicable to their industry. These included, pre-authorization on credit cards, tabs, easy splits and transfers. It was also imperative to have a bartender inventory program and a drink recipes database easily accessible to the the bartenders. Cheers to finding the perfect solution! When they found CCSthey discovered a POS solution with everything they wanted and more. With CCS, they were able to input happy hour discounts and specials seamlessly. Drinks Ultra Lounge not only got their bartender inventory on point, but were able to track them by utilizing multiple cash drawers and blind-close functions. This safeguarded the owners against employee theft and tracked their alcohol distribution. We provides comprehensive and user friendly POS systems. With installations across the globe, they service businesses on tropical islands to South America. 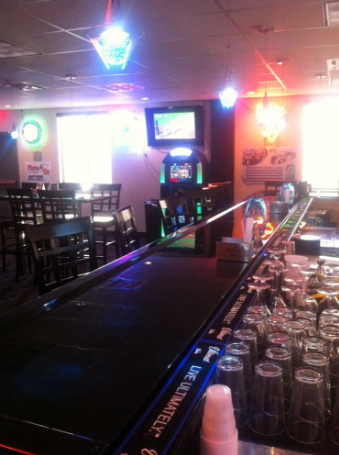 Whether it be a dive bar or an upscale nightclub, CCS is committed to providing a POS based on your needs. Call 866-973-8099 to speak with an industry consultant or request a quote today! Located in Saskatoon, Canada is RPI Vapor Lounge; a large e-juice bar and vape retailer. RPI has a bar/coffee shop atmosphere which is a perfect hangout spot for those who like to vape. With one of the largest stocks of e-juices, RPI carries numerous brands at affordable prices. Essentially, they’re the vapers candyland of the industry. A lot of planning goes into opening a business - whether it be finding a location, budgeting or hiring staff. Choosing a POS system is an integral part of this process as well, since Point of Sale systems handle the operations of the business. So in 2015, RPI needed to choose what POS system would be perfect for them. They required a tablet based, turnkey system that could integrate with QuickBooks. Many POS providers offer tablets, but the downside to those is that most of them are cloud based, which causes lag time and can interrupt the flow of business. Additionally, many tablet POS systems are equipped with simple retail apps which cannot provide a sophisticated approach their operations. On top of that, these simple applications couldn’t meet the needs of their desired accounting software integrations. At first their desires seemed simple and straightforward (after all it was summed up in a single sentence) but at this point it appeared to not be the case. Everything changed when RPI found Cafe Cartel Systems. CCS provides windows based systems in different styles and price points; whether it be a traditional system or a more modern one. They even had multiple options for tablets that didn’t compromise on software features or their QuickBooks integration. Finally RPI had some options! With software designed specifically for their industry, RPI ordered the system. Though CCS is based in San Diego, they provided free shipping to Canada and setup their turnkey system in no time. CCS comes equipped with age verification, vape inventory with complex kit pricing, employee timeclock, reporting, reconciling and much more. To see how Cafe Cartel can meet your needs call 866-973-8099 to speak with an industry consultant or request a quote today! Located in Portland, Oregon is Rip City Remedies. They were one of the first dispensaries to open in the area and have continued to grow ever since they opened in June 2011. Rip City’s owners continuously network within the industry and community by serving on the board of OCBC, ORCA and OLCC. These committees seek to implement rules for recreational dispensaries. By constantly seeking out new products for the shop, Rip City stays current with the demands for their patients and clientele. Requests can be made to the budtenders for products not currently stocked at the dispensary. It comes as no surprise that the Dope Industry Awards crowned them The 2016 Medical Dispensary of the Year. Dispensary Searches for a POS that can Evolve with the Marijuana Industry In 2011, Rip City Remedies began their search for a Point of Sale system. It was important for them to find a POS that was not only established but could also adapt to the new regulations as they came. A system lacking in features or continuous technical support simply wouldn’t do. They needed something built for the long run that included a team dedicated to responding to the evolving nature of the industry. After a consultation with one of Cafe Cartel’s industry consultants, Rip City found a company that aligned with their goals. CCS designs and supports it’s own software so that they can provide the highest quality of service and support. They keep up-to-date with all state regulations and make changes to receipts, reporting and inventory structure as needed. With service around the clock, Cafe Cartel is the most reliable POS option available. Rip City was also pleased to find that CCS comes equipped with Age Verification so that they could scan their patient’s ID’s. Additionally, CCS provides scale integration that is NTEP approved. From advanced inventory systems to theft control, CCS supplies secure solutions and data encryption. Rip City ordered their POS system and were happy that their budtenders found the system to be intuitive. Rip City Remedies has used their CCS system since opening. As they have grown, they’ve added additional terminals and peripherals to their setup. Cafe Cartel has remained there for every update they’ve needed to ensure their system runs smoothly and remains compliant. To see how CCS can help grow your dispensary call 866-973-8099 to review your needs with a consultant or request a quote today. NOHO Compassionate Caregivers is a premier dispensary located in North Hollywood, California. Since opening, NOHOCC has been committed to providing the highest quality medications and products. Known for their professional and knowledgeable staff, NOHOCC offers medications that suits all tastes and budgets. New patients are always thrilled to receive ⅛ Dnt with a $25 CAP on top shelf medicine for their first order, along with a free edible or joint. This is a deal so good that So High LA went undercover to film their review of the shop! NOHOCC provides medicine in a safe environment and within the strict accordance of the law. The most encompassing way they are able to adhere to the laws and regulations of the state is via their POS system. A POS is more than just a critical bridge from which the dispensary receives payment from the patient. So let's take a look at how NOHO’s Point of Sale System allows them to meet the necessary regulations with it’s features and setup.